Flying can be hard. What with the flight delays, jet lag, and the ever-present possibility of getting sick, you never know what could go wrong. On top of all that, there’s the poor selection of drinks available on the drink cart. While it’s hard to manage the first three problems, you’re in luck for the latter. Using just what’s available on a common drinks cart (okay, with just a few exceptions), it’s possible to make one or two tasty cocktails to get you through a long-haul flight. Quick note: Airlines frown on people opening their own booze (yes, even minis that make it past the TSA). There are easy spirit improvements that are allowed, however, like the Carry On Cocktail Kit, which includes ingredients for two drinks. Options include bespoke tonic syrup for a G&T, ginger syrup for a Moscow Mule, and a rosé kit with gummy bears and elderflower syrup for rosé-elderflower cocktails. These are the best drinks you can make — or in the case of the first two, order — on some of the most popular airlines. Margarita with Cazadores 100 percent blue agave tequila ($8): Hella Cocktail Co. Margarita Mix and a lime wedge. On the Rocks old fashioned ($9.99): A pre-mixed bottled cocktail made with Knob Creek bourbon, bitters, cane sugar, orange, cherry, and lemon zest. Sparkling cosmopolitan: Order a Tito’s Vodka with splashes of cranberry juice and Dasani Sparkling Lime, then get a lime wedge on the side. French 75: Order La Gioiosa Bianco Frizzante sparkling wine, a Bombay Sapphire gin mini, and ask for a splash of Sprite (to replace the simple syrup in the original) and a lemon wedge (of which you can just use the peel). 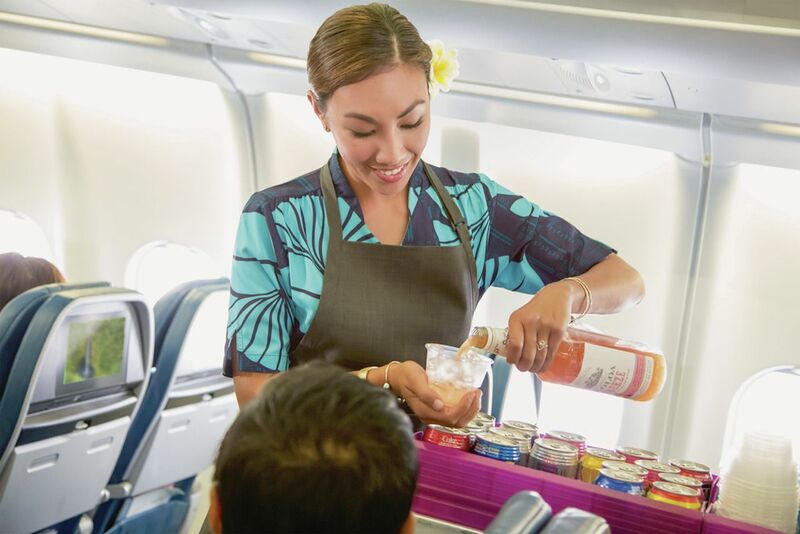 The island carrier offers all passengers of legal age complimentary rum punch made with Koloa rum, which is distilled on Kauai. Also on the cart are local offerings like Ocean Organic vodka (made on Maui with prized deep ocean water), Koloa Lite rum, and beers from Maui Brewing Company like Bikini Blonde Lager and Pau Hana Pilsner. In 2017, the airline collaborated with the mixologist from On the Rocks to make a line of all-natural bottled cocktails that are preservative free and sweetened with cane sugar. 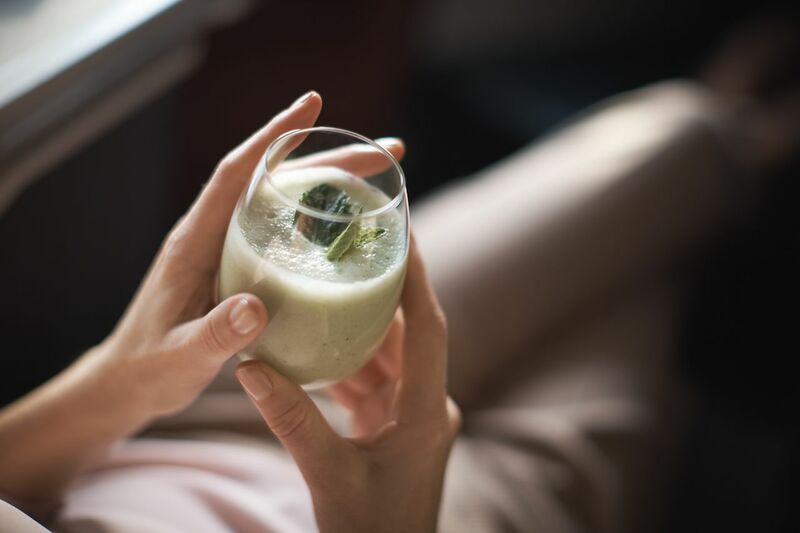 First-class passengers can enjoy the signature mai tai when they step onboard; those in other classes can purchase that, a Li Hing Vodka Gimlet, or the Tropical Landing, with gin, violet, guava, coconut, and citrus. A chrome bar is a fixture on every plane on Richard Branson’s British-based airline, though only those in the upper class get to experience it. But no matter which class you’re in, the cabin crew is trained in the art of a good drink. In early 2019, the airline began offering no-proof libations made with Seedlip, a non-alcoholic “spirit brand.” The Shepherd’s Delight cocktail uses Seedlip Spice, Fever Tree Ginger Ale, and a lemon slice, while Red Sky at Night has Seedlip Spice, Fever Tree Indian Tonic, and a lemon slice. Two low-proof cocktails start with Regal Rogue, an Australian “quaffing vermouth”: The Bold Mule (with Regal Rogue Bold Red Vermouth, Fever Tree Ginger Ale, and lemon) and The Bold Spritz (with Regal Rogue Bold Red Vermouth, soda water, and lemon). Hong Kong’s flagship air carrier (which recently launched new nonstop service from Washington Dulles to Hong Kong International Airport) offers an ever-expanding wine list of around 80 selections from France, Italy, Austria, South Africa, Australia, the US, and New Zealand. Most recently, the airline began popping the intense and exotic 2002 Rare Millésimé in first and business classes. The wine is a blend of eight different crus sourced from around Champagne. Most fun are the zero-proof cocktails like the Oriental Breeze, which blends sour plum tea with cranberry juice, honey, lemon, and rose water, and garnished with a dried rosebud; and Cathay Delight, which mixes kiwi juice, coconut milk, and mint powder, garnished with a mint sprig. Every year, three wine experts taste more than 1,000 wines under cabin pressure to see which ones pass muster for the list. Onboard, air sommeliers are trained on a wine’s style, production method, and best menu pairings. Krug and Dom Pérignon are the Champagne houses it carries, and German Riesling lovers will find a spätlese from Selbach Oster Zeltinger and a kabinett from Dr. Loosen, both from the Mosel. Of course, the most popular cocktail is the Singapore Sling, which dates back to 1915 and mixes dry gin, Benedictine, orange liqueur, cherry brandy, lime, pineapple juice, Angostura Bitters, and grenadine. Dram fans will love the Macallan Whisky Maker’s Edition, a single malt aged in three different types of casks.